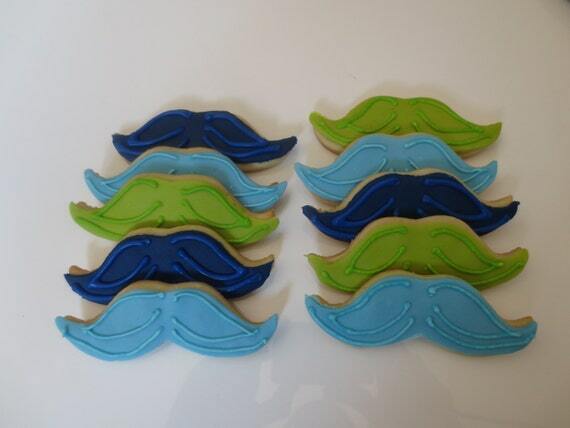 The mustache craze has taken the world by storm. 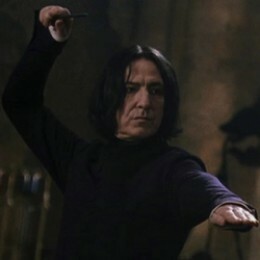 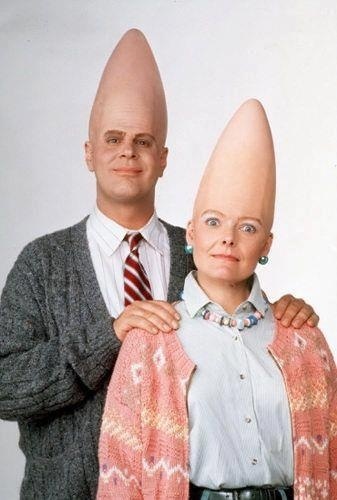 You see them everywhere. 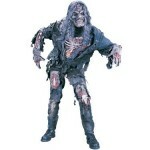 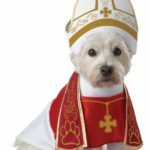 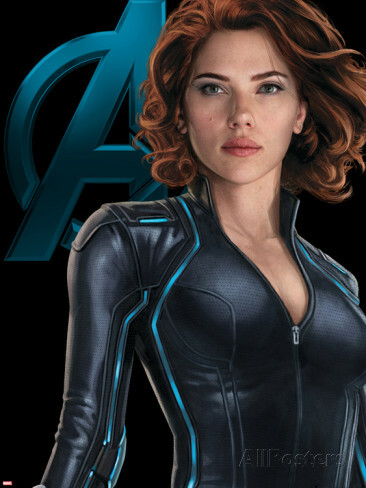 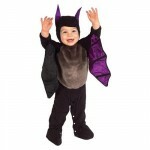 They are on clothing, pencils, jewelry, and decorate the surface of just about any item you can imagine. 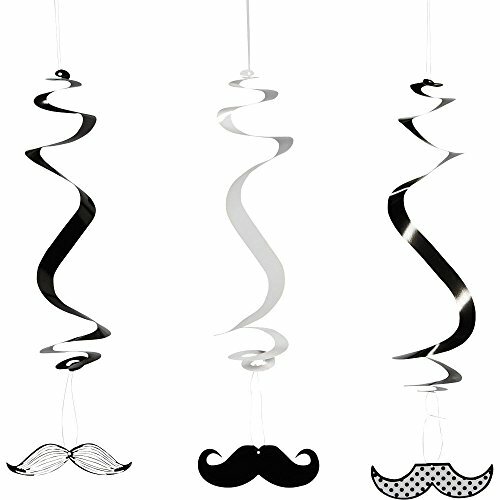 Kids love the mustache theme, which is why it makes a terrific party theme choice for either a kids' Halloween or birthday party. 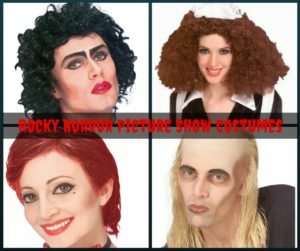 Here we take a look at some great ideas to help you put together a mustache Halloween party for kids. 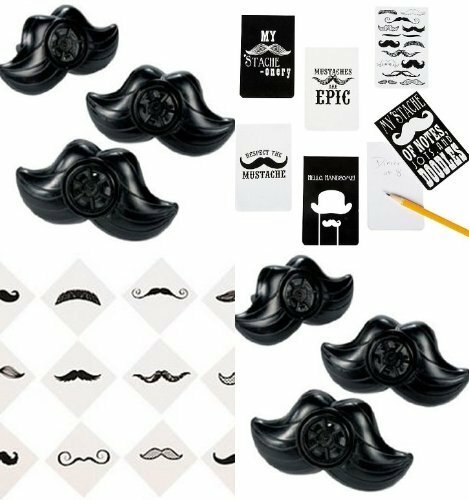 Get ready for the Halloween or birthday celebration by sending out these great invitations to let everyone know you're not just having a party, but a mustache bash! 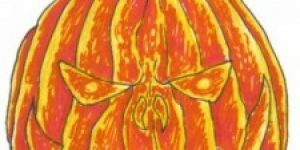 Simply order this digital download and then print as many invitations as you like. 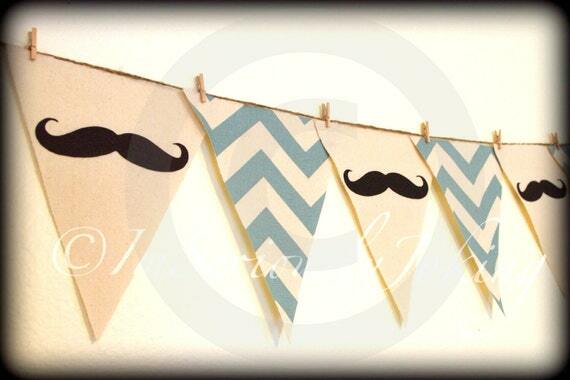 Design features top border with dark blue background with white mustaches, with a light blue background in the middle. 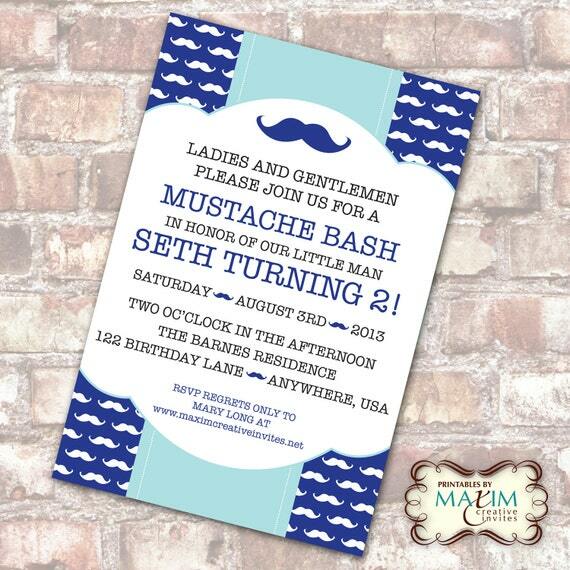 Main body of card front is white with dark blue lettering and large blue mustache in the middle. 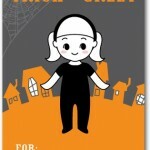 Text can be modified from sample shown to work for a Halloween invitation as well. 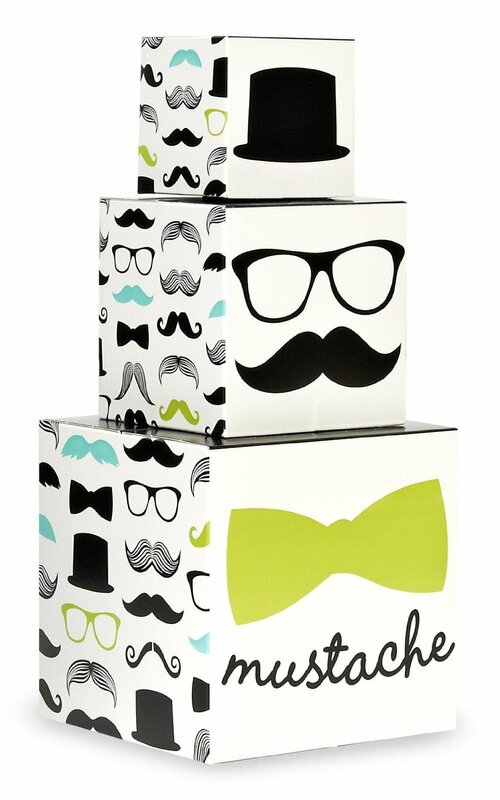 Choose a 4 inch by 6 inch or a 5 inch by 7 inch card size, along with text exactly as you would like it to appear. 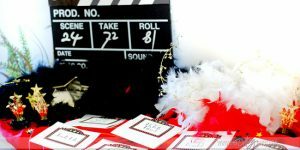 A proof of your finished invitation will be emailed within 24 to 72 hours in a jpg or pdf format upon request. 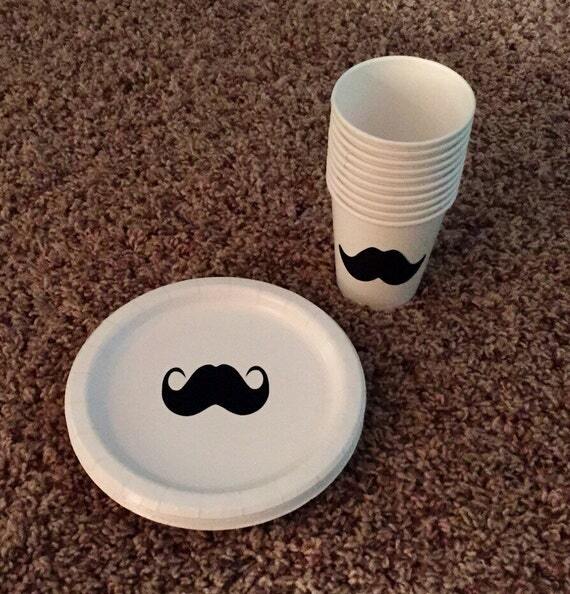 No mustache party theme would be complete without plates and cups featuring a mustache. 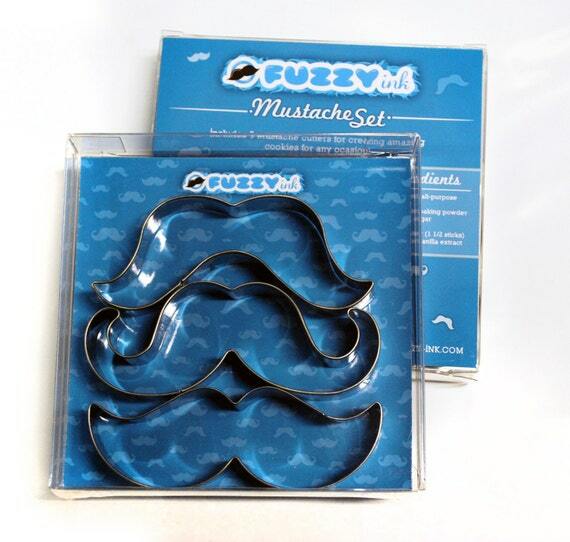 Set includes ten white 6.812 inch plates and ten white 9 ounce cups with various mustache styles in black. 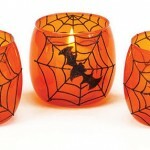 Cups are perfect for either hot or cold beverages. 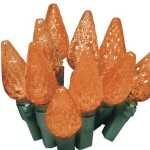 This is a made to order item that will make your party truly special. 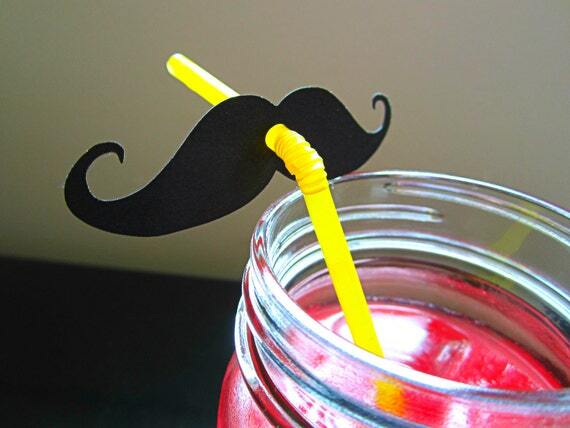 Dress up your drinking straws for the party with these great mustache cut outs. 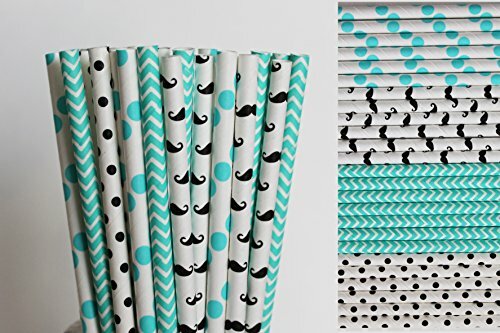 Black mustaches are pre punched to fit on a regular sized plastic bendable straw (straws not included). 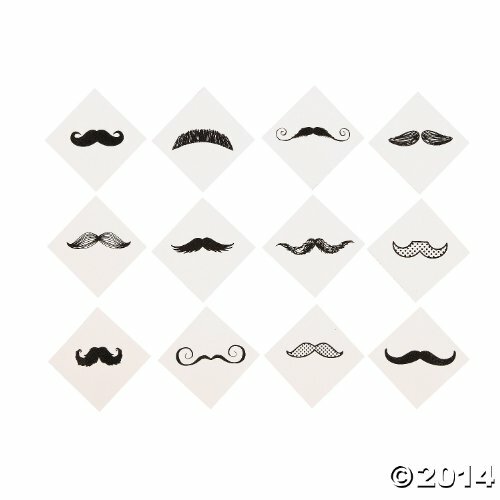 Mustache measures three inches wide by 0.8 inches high. 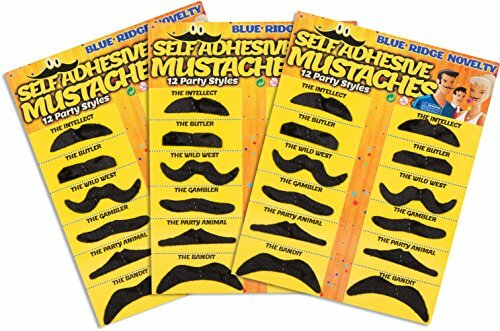 Kids will be delighted and share plenty of laughs when every time someone goes to take a drink, they end up wearing a mustache. 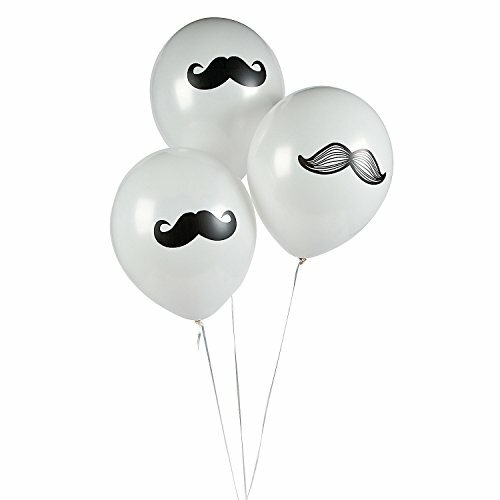 This is a set of twelve white party balloons featuring a black mustache on them. 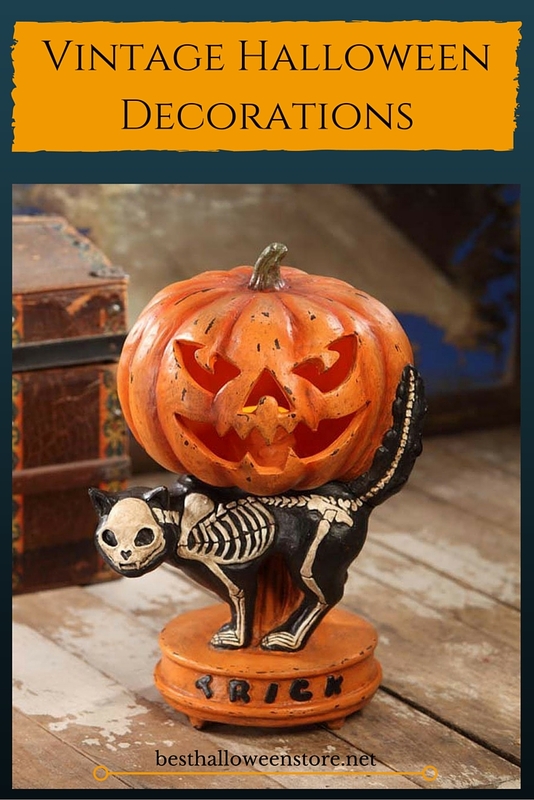 When decorating for a Halloween party, simply combine with some orange and black ribbon and streamers for a great Halloween look the kids will love. 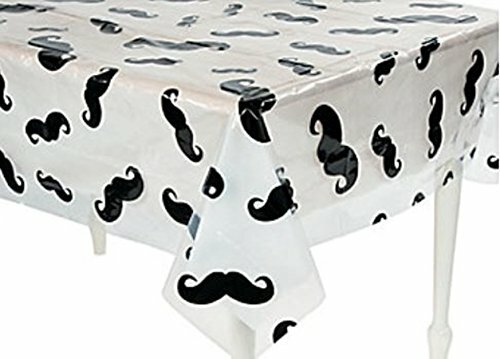 This tablecloth is clear with a black mustache design printed all over it. 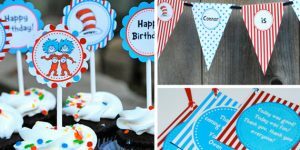 When using table cover for either a birthday or Halloween party, simply place a cloth tablecloth of your color choice underneath to fit your color scheme. 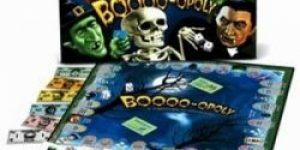 Table cover measures 54 inches by 108 inches. 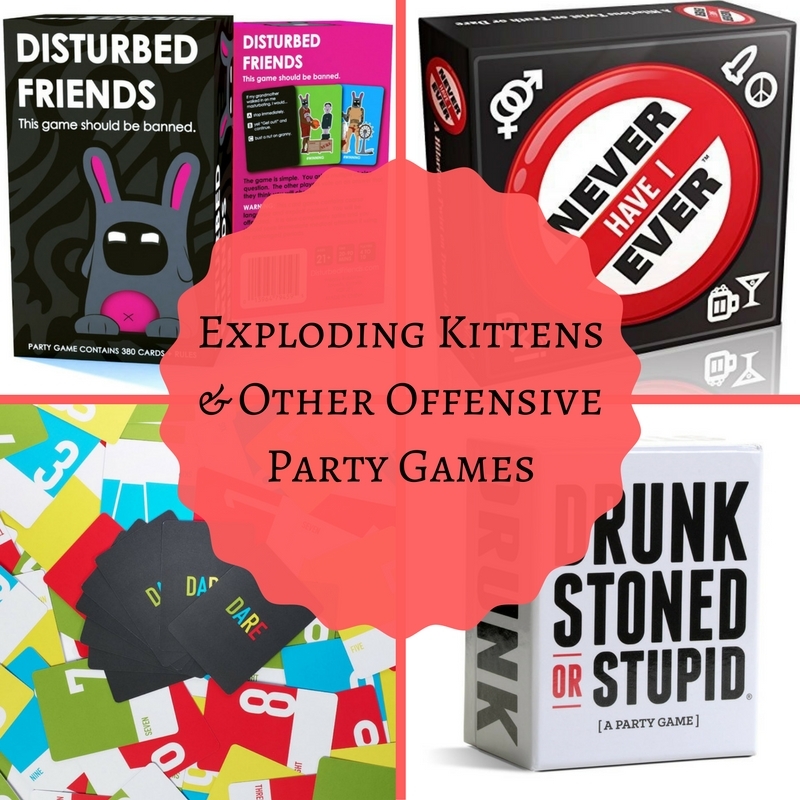 Can be easily wiped clean for spills during the party and then conveniently disposed of after use. 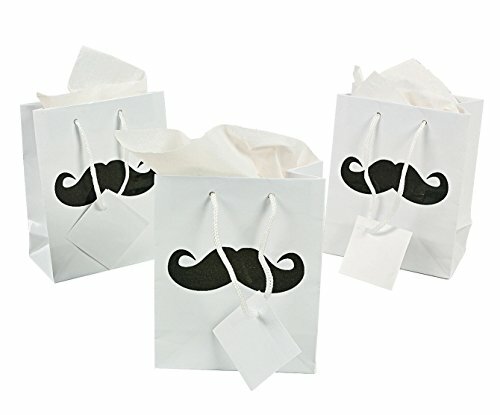 Let your party guests take your party theme home with them with these cool mustache party favors. 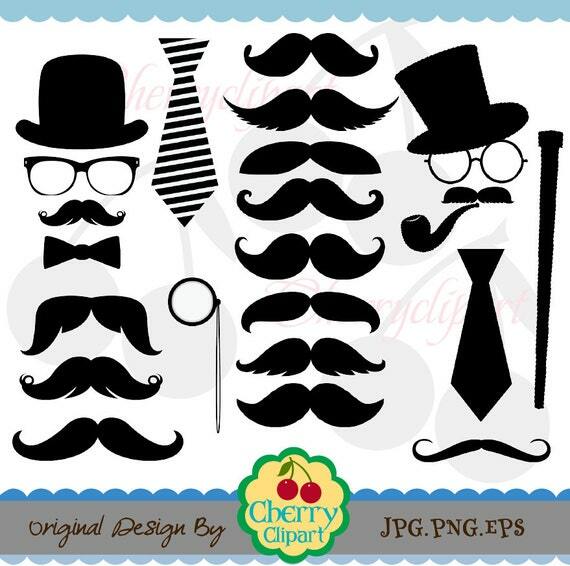 Sixty piece set includes one package of 12 notepads, one package of 12 mustache whistles, and one package of 36 mustache finger stache temporary tattoos. 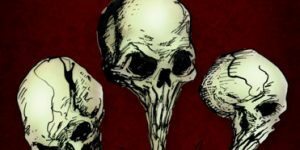 Whistles are black in color and notepads are black and white in color. 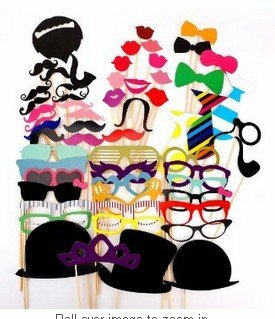 Forget pin the tail on the donkey, this is a party with a mustache theme! 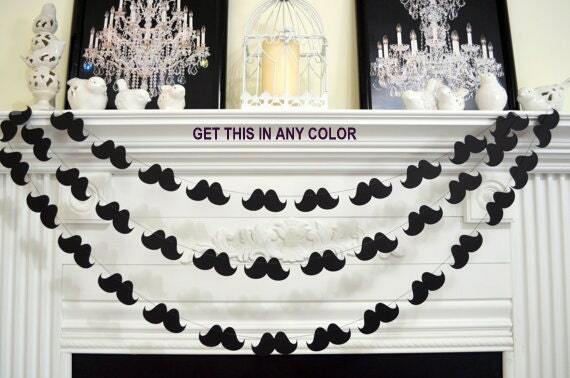 Instead, play Pin the Flashy Stache. 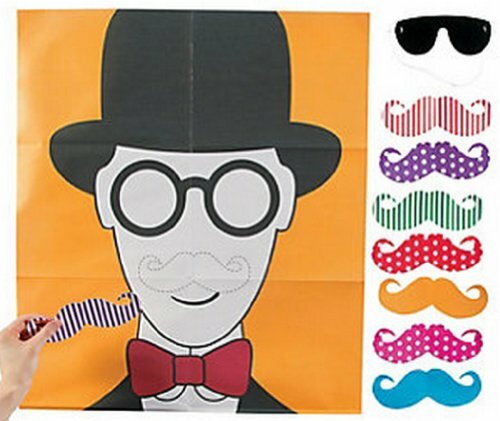 Game includes 22 inch by 33.5 inch poster of a man's face on which kids will be blindfolded and try to properly place the mustache on. 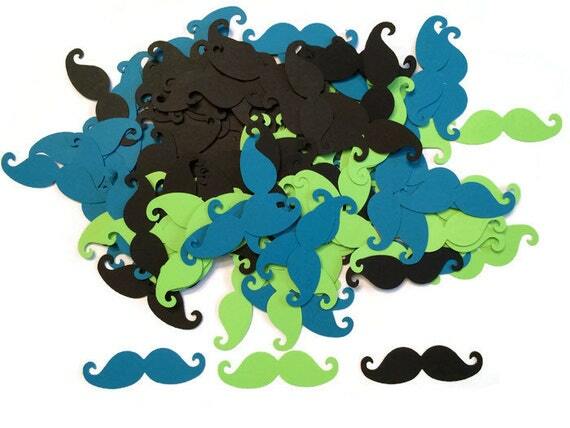 Also includes a 6 inch by 2.5 inch blindfold and one 7 inch mustaches for pinning on the board. 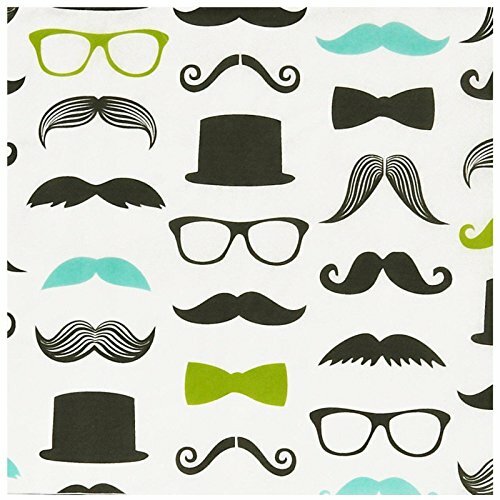 Mustaches are in fun, bright colors, some with polka dots and some with stripes. 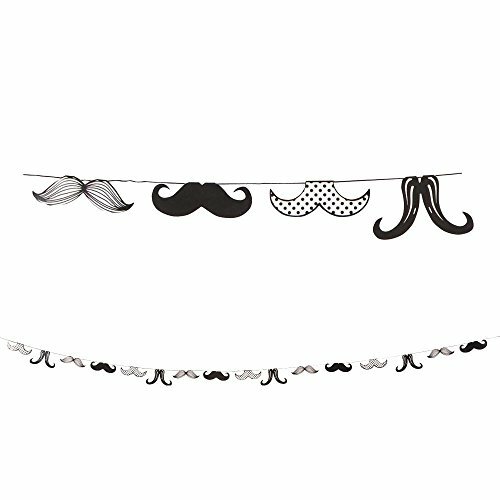 This seven feet long paper garland has several different mustache styles in black and white. 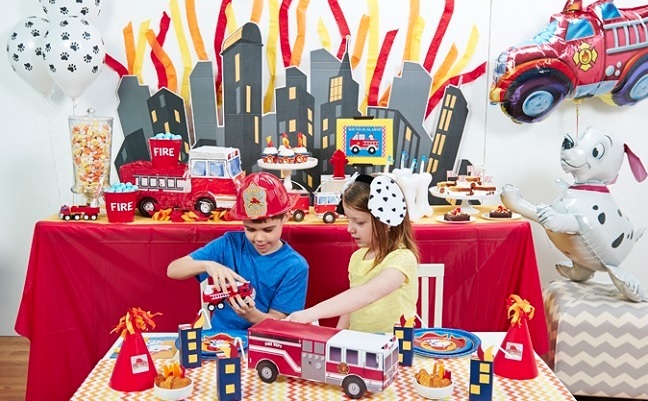 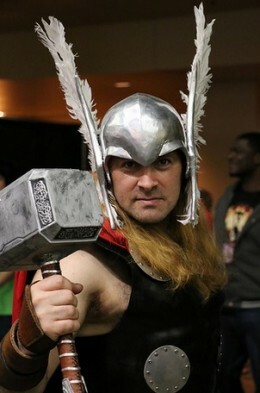 Works well for either a birthday or Halloween kids' party theme. 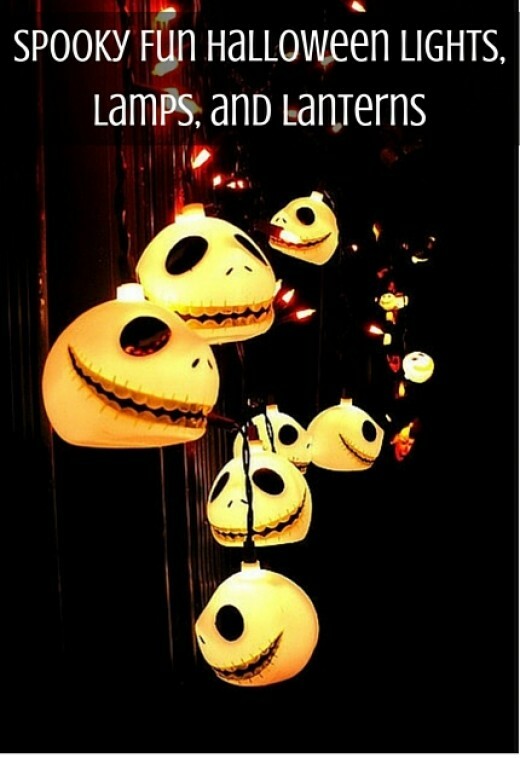 Makes a fun and creative decorating idea. 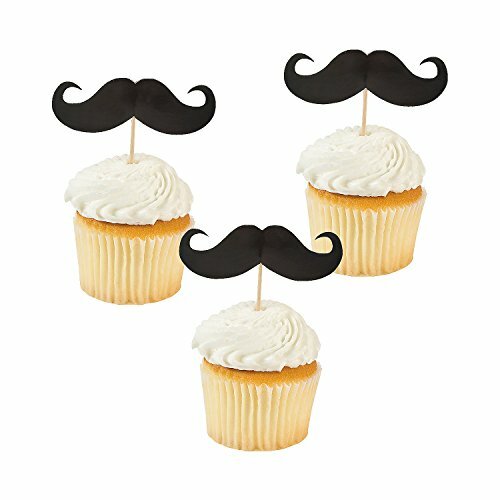 Combine with mustache balloons for a great look.